Famed bank whistleblower Bradley Birkenfeld launched his tell-all memoir Lucifer’s Banker last week at the National Press Club with a harsh indictment of the nearby headquarters of the U.S. Justice Department. Birkenfeld, described earlier this year by CNBC as "the most significant financial whistleblower of all time," attacked law enforcers as being cowardly, self-seeking and deceitful in monitoring crime by top financial institutions that help the wealthy commit massive frauds on taxes. The schemes hide money, sometimes ill-gotten, and thus may hurt the criminals' spouses, business colleagues, fellow citizens, and governments. Birkenfeld, 51, helped American authorities recover an estimated $15 billion in back taxes, interest and penalties from wealthy tax cheats who worked with his former employer, UBS, the world's largest bank. UBS is at the center of Switzerland's notoriously secretive system that helped the wealthy duck debtors and facilitate crime that includes drug and arms trafficking. "The great irony," Birkenfeld told about 80 guests at the press club Oct. 18 (as shown in our JIP photo), "is that the only banker imprisoned for the financial scandals was me, the whistleblower." Particularly important is that authorities -- and not just the Justice Department but also Secretary of State Hillary Clinton and her colleagues -- sought to protect in his view many of the rich and powerful tax cheats who could have been exposed. 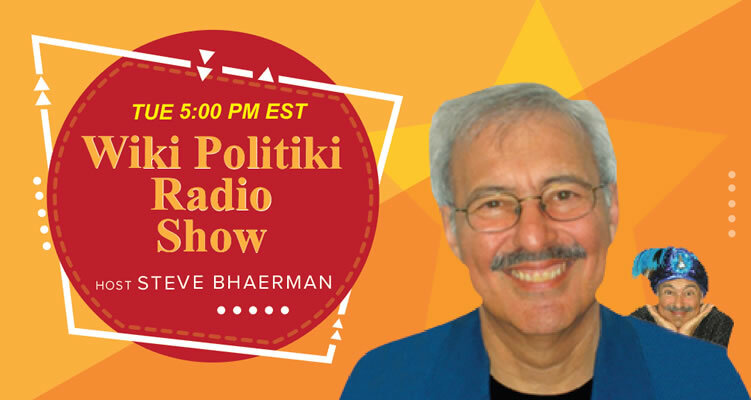 Update: JIP's editor discussed this column on Oct. 25 during an hour-long edition of The Phil Mikan Show simulcast on WLIS-AM and WMRD-AM in Connecticut, and streaming worldwide. A major point was that the topic was not simply important but interesting -- and that true reform will never occur until the public becomes engaged in how seemingly far-away issues directly affect personal quality of life, such as when criminals hide assets from employees, business colleagues or spouses, or when narcotics traffickers destroying communities hide their money overseas. Birkenfeld says he outlined to authorities precisely how they could have obtained the names and other records of all 19,000 of the UBS customers availing themselves of secret accounts. Also, he told prosecutors how they could capture all UBS bankers entering the United States on phony customs declarations, thereby enabling prosecutors to squeeze the bankers to cooperate in criminal cases against the tax cheats and foster reform through such additional avenues as Senate oversight hearings. But, he argues, U.S. authorities obtained only 4,700 names that UBS cherry-picked in mysterious ways. He believes the bank and compliant authorities protected the vast bulk of the most politically influential tax cheats. That deprived taxpayers, he argues, of even greater reimbursement than the $12 billion (plus interest and penalties) that IRS recouped. 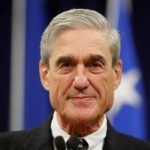 More generally, he portrays a corrupt and incompetent oversight landscape that is marred also by often-timid and misguided defense counsel typically available whistleblowers, even though he could afford top lawyers and researched extensively those available. Despite roadblocks, his saga proceeds in a buoyant manner in describing how he overcame the obstacles for the most part, aided by his final team of lawyers from the National Whistleblower Center. He provides kudos to the Internal Revenue Service, which he calls the most effective, non-political and otherwise admirable of the oversight bodies he encountered. Praise for the IRS is not the only unconventional aspect of this memoir. So is his admiration for the rigorous training he received at Vermont's Norwich University, the nation's oldest private military academy. Also, he is proud of his luxurious and libidinous lifestyle as a high-paid banker. In a convoluted but ultimately convincing way, such diverse experiences led him to the monumental risks and results of his whistleblowing. Today's column draws from his case, his powerful memoir and his appearance last week in the nation's capital. Our conclusion? His harsh words against the Justice Department and the overall structure it exemplifies appear to be justified, although we recognize that many thousands of employees labor also each day to live up to the DOJ's aspirational goals of delivering justice. In concluding this, we draw upon years of reporting here documenting other injustices by top federal authorities involving both their whitewashes that protect the powerful and their remarkably harsh treatment to political targets, including whistleblowers. Readers are familiar with the threats to democracy inflicted by the Justice Department on many political prisoners and/or whistleblowers. As a few examples reported here through the years: Privacy advocates, whistleblowers and political targets Edward Snowden, Joseph Nacchio, Thomas Drake (shown at right in a Noel St. John photo at the National Press Club), Jesselyn Radack and John Kiriakou; and the still-imprisoned former Alabama Gov. Don Siegelman and the DOJ political targets (such as Richard Scrushy, Tamarah Grimes, Gary White, and Dana Jill Simpson) who courageously supported one of the Deep South's most prominent Democrats during his 2006 Justice Department frame-up despite pressures from the department to adjust their testimony or otherwise drop their protests against one of the nation's most enduring human rights disgraces. Among others we've covered have been President John F. Kennedy's former Secret Service guard Abraham Bolden, a black officer who tried to warn the Warren Commission about racial hatred against JFK within the protective service but instead found himself imprisoned on trumped up DOJ charges; and many more DOJ victims. That's one of the department's most enduring and important shames. Several of these victims and civic heroes were honored guests at Birkenfeld's book launch last week. What follows is our take on the Bradley Birkenfeld story and its continuing importance to you. Lucifer's Banker and relevant commentary constitute a vital additional to conventional wisdom about the reforms to Swiss banking that Birkenfeld's initiative generated. Most important are the difficulties even such a well-funded and well-prepared whistleblower faced in trying to achieve reform when Washington authorities, with some exceptions such as U.S. Sen. Chuck Grassley (R-Iowa), generally oppose whistleblowers as much as they can without alerting the public to the deep corruption afflicting the country. As a private banker working for the largest bank in the world, UBS, Bradley Birkenfeld was an expert in Switzerland's shell-game of offshore companies and secret numbered accounts. He wined and dined ultrawealthy clients whose millions of dollars were hidden away from business partners, spouses, and tax authorities. As his client list grew, Birkenfeld lived a life of money, fast cars, and beautiful women, but when he discovered that UBS was planning to betray him, he blew the whistle to the U.S. Government. The Department of Justice scorned Birkenfeld's unprecedented whistle-blowing and attempted to silence him with a conspiracy charge. Yet Birkenfeld would not be intimidated. 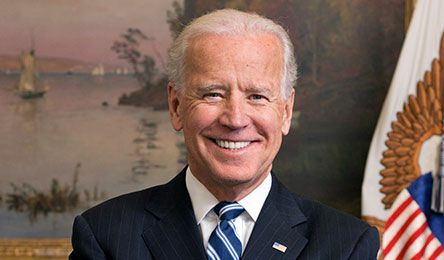 He took his secrets to the U.S. Senate, the Securities and Exchange Commission, and the Internal Revenue Service, where he prevailed. His bombshell revelations helped the U.S. Treasury recover over $15 billion (and counting) in back taxes, fines, and penalties from American tax cheats. But Birkenfeld was shocked to discover that at the same time he was cooperating with the U.S. Government, the Department of Justice was still doggedly pursuing him. He was arrested and served thirty months in federal prison. When he emerged, the Internal Revenue Service gave him a whistle-blower award for $104 million, the largest such reward in history. A page-turning real-life thriller, Lucifer's Banker is a fascinating behind-the-scenes look at the secret Swiss high-net worth banking industry and a harrowing account of our government's justice system. Readers will follow Birkenfeld and share his outrage with the incompetence and possible corruption at the Department of Justice, and they will cheer him on as he ''hammers'' one of the most well-known and powerful banks in the world. The promo lives up to the reality in this instance. This book is timely during this campaign season, particularly in illustrating how many leaders of both parties and even career appointees defer to the ultra-wealthy and their organizations, such as UBS. Birkenfeld describes how his success in private banking enabled him to obtain a unique UBS compensation package for those at his level, which included an 18 percent share of his 150 clients' new spending at the bank. As a result, he could afford to hire Washington's best lawyers when he decided to report his superiors in 2005. 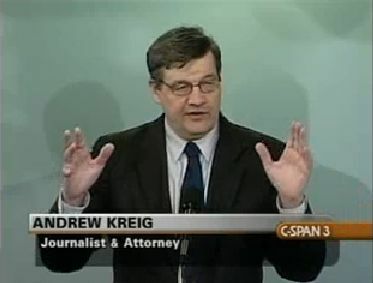 He discovered via an unannounced memo buried deep in the UBS intranet system that his higher-ups were planning to scapegoat lower-level personnel if foreign authorities, such as those in the United States, ever discovered that a major component of the bank's operations was sales of financial tools to clients who wanted to violate their national law. But he learned that all the major law firms in Washington, DC were unavailable to him because UBS kept them on retainer, creating a conflict. So, he went to a well-regarded boutique led by former Justice Department prosecutors. And, like many such litigants, he learned that their expertise pointed him to a guilty plea with few protections in the face of the DOJ's overwhelming financial and logistical advantages against anyone it chooses to target for any reason. Those factors are illustrated also by Harvey Silverglate's iconic 2009 book Three Felonies A Day: How the Feds Target the Innocent, soon to be republished in an updated edition. He saw also that even the best lawyers he could find at the beginning of quest lacked the clout and survival instincts to help him navigate what should have been, at least according to civics and legal studies, a relatively straightforward proposition: the whistleblower gets immunity or at least leniency in return for massive documentation of serious, widespread crimes that authorities could never learn about otherwise. Instead of receiving the kind of deal provided to many others, he portrays a Justice Department beholden to bankers and their top clients, first under disgraced Bush Attorney General Alberto Gonzales and then under the Obama successor Eric Holder (who is shown in a 2015 photo by Noel St. John). 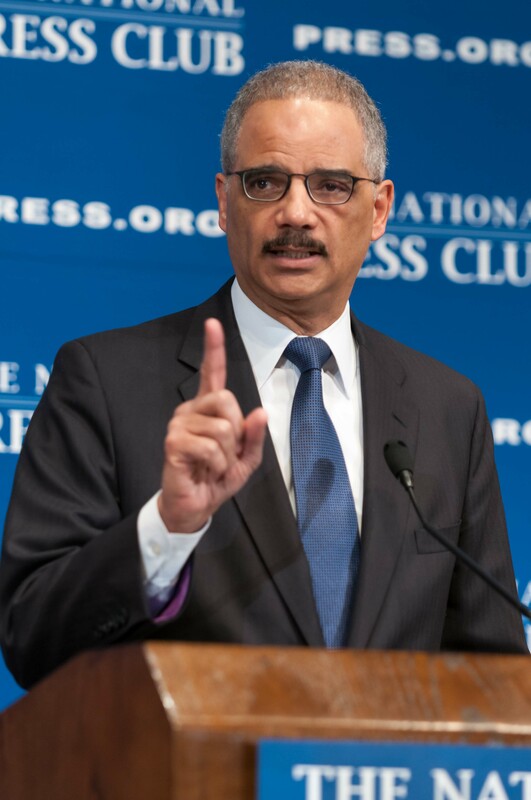 "Attorney Gen. Eric Holder polished his legacy Feb. 17 with a National Press Club speech that illustrated the sharp limits of political accountability and media curiosity in the nation’s capital." Although Birkenfeld's memoir characterizes much of the Justice Department's serious misconduct as occurring during the Bush administration (which ended in late January 2009), he characterizes Clinton's discussions with her Swiss counterpart during the scandal in 2009 as "Mafia-style antics" that coincided with an increase of UBS donations to the Clinton Foundation from $60,000 to $600,000. Meanwhile, President Obama, a close friend of Holder, went golfing for five hours on Martha's Vineyard with UBS America CEO Robert Wolf, whose company paid a $780 million to obtain deferred prosecution. In an interview with ProPublica reporter Sharona Coutts and National Whistleblowers Center Executive Director Stephen Kohn, Democracy Now! reported that golf date as follows: As Obama Golfs with UBS CEO Days After Firm Avoids Criminal Prosecution, UBS Whistleblower Given 40-Month Jail Term. 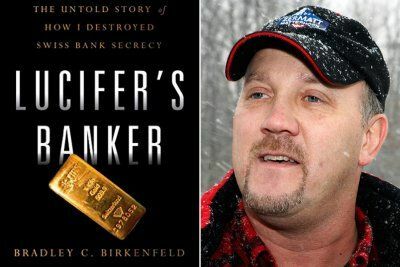 In Lucifer's Banker, Birkenfeld describes that settlement as a mere cost of doing business compared to the billions of dollars in fees the bank obtained from helping Americans illegally hide their money. The UBS CEO Wolf had been one of Obama's major early Wall Street backers. The media have for the most part whitewashed Obama's powerful backers on Wall Street and in the intelligence community in order to overemphasize his brief stints as a community organizer and adjunct law professor. That's a story previously reported here, and of continuing significance. Also a story for another day are the varied sources of the untaxed and largely unaccountable wealth of Switzerland's 130 private banks, including UBS. These are reliably reported in some instances to include drug and arms trafficking in ways that authorities could relatively easily track with the confidential information Birkenfeld provided if DOJ higher-ups had so desired. He reports that his Justice Department personnel became appalled, hostile and almost visibly frightened when he reported that one UBS client with $420 million in six UBS accounts was Abdulazziz Abbas, an international oil and arms dealer with strong business ties to Saddam Hussein. The author recalls, "I had no trouble spilling these particularly filthy beans. After all, this was the post-9/11 world, and this guy Abbas had terrorism written all over him." The former banker, now working part time as a private consultant and philanthropist, adds that his mental process was, "Sorry my Swiss friends but terrorism trumps Swiss banking secrecy." "Oh, there's one other thing you should know." "I understand Abbas is good friends with Rudy Giuliani." 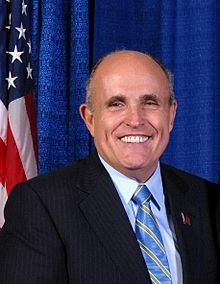 Former New York City Mayor Giuliani (shown in an official photo), had been the third-ranking DOJ executive earlier in his career and was at the time leading in polls for the GOP nomination in the 2008 presidential campaign. "We're not interested in non-Americans!" the DOJ's top man said, Birkenfeld recalls. "I kept trying to interject but he kept repeating this mantra, almost in a panic." There's always at least two sides of a story. The government's views are summarized in prosecution memos, such as this: Former UBS Banker Sentenced to 40 Months for Aiding Billionaire American Evade Taxes, and elsewhere below in excerpts from relevant litigation. The DOJ materials conveyed the department's hostile posture towards Birkenfeld by, for example, omitting for the most part his early initiative and the authorities' treatment of the wealthy bank customers he identified. None of the clients or higher-ups went to prison, it bears repeating, even though it was the clients who actively undertook the tax cheating and it was UBS top executives who orchestrated creation and sales of tools for tax cheats. Just last week, the IRS issued a news release, Offshore Voluntary Compliance Efforts Top $10 Billion, that boasted of its successes since 2009 in recovering money offshore but omitted any hint of how much the program owed to Birkenfeld. The government's successes were also memorialized in extensive news coverage of Switzerland's reform of banking laws under U.S. government pressure. A sample of that coverage is included in the appendix below. More generally, this editor can confirm that the vast majority of thousands of DOJ and other federal employees are simply trying to do their jobs day-in, day-out in a responsible manner and without any complicity in the kinds of intrigues described at length in Lucifer's Banker or in this column. Such intrigues are the exception but can be important enough to report at length, particularly when scant accountability exists for demonstrated misconduct or what might be described as obstruction of justice if undertaken by a private citizen. This assessment is based on, among other things, my five years covering the Justice Department full time as a newspaper reporter plus a year as law clerk to a Boston federal judge and 25 years as an attorney in Washington, DC. Historian John H. Davis recounted in his 1989 book Mafia Kingfish: Carlos Marcello and the Assassination of John F. Kennedy a particularly dramatic example of the twin sides of the Justice Department. Nearly three decades ago, two heroic FBI special agents, Larry Montague and Michael Wacks, risked their lives for many months, sometimes on a daily basis along with swindler-turned-informant Joe Hauser, to worm their way into the confidence of the ruthless Louisiana and Texas mob boss Marcello. Using hidden tape recorders, the agents pretended to be career criminals. They pulled it off with Hauser's help, and recorded the mob boss and his henchmen on multiple occasions confiding their murderous deeds through the decades. Even one pat-down or other slip-up revealing the electronic gear during their visits to secluded mob hideaways would have meant certain and immediate death, as would any discrepancies in their "criminal" cover stories eliciting trust from one of the most canny mob bosses in American history. Instead, Marcello and top cohorts were convicted of racketeering at trial. After nearly seven years, however, Marcello, who had bribed and threatened officials high and low for many decades, received a surprise release via the courts in 1989, and was able to spend his remaining four years at home before his death in 1993. 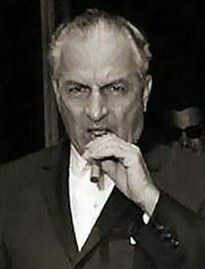 Since Marcello (shown above in a file photo) is a major suspect in the deaths of both President John F. Kennedy and the Rev. Martin Luther King, Jr., among many other murders and whitewashes, few tales so neatly encapsulate both the heroism some DOJ personnel and the questionable performance by others in the legal system. After many similar rebuffs and a frightening black ops operation against Birkenfeld worth reading in full, he concluded, "When your own government betrays you it's a mule kick in the guts." Birkenfeld is more positive about Senate investigators. He recalls that they listened carefully, held hearings, and undertook reform action for the future while hiding Birkenfeld's role in many ways. They prevented their star witness from testifying publicly on the precise crimes and criminals. This enabled senators and the DOJ to gain more of the public credit for exposing the crimes. It also enabled higher-ups at UBS to avoid tough questioning that would have enlightened the public but heightened pressure on VIP bankers and clients who fund both parties. The politicians had gotten out front of this, causing an enormous embarrassment for the DOJ; they could no longer suppress my evidence or the brewing scandal. However, no open accusations of corruption or obstruction of justice flew between Senate Democrats and Republicans, because both sides knew they had dirty fish in the fire. The happy ending (at least for him and readers so inclined to look for bright spots) is that his disclosures created such a scandal as to prompt major reforms in Switzerland's banking system. Along the way, he found highly capable and trusted counsel at the National Whistleblower Center (one of his many law firms) and would do it all again, except to approach the "Justice" Department first instead of other agencies. But much work remains. This month he sent a copy of his book to President Obama with a request for action, copied to the Justice Department and all 535 members of the U.S. House and Senate. His letter, copied here, outlines the ongoing cover-up of vital information, including 75 percent of the 19,000 names of UBS secret account holders, and calls for public disclosure and more aggressive enforcement that can help the rest of the nation's citizens. Bottom line: Read this book, especially during election season. It will help you understand that both the private sector and government abound with puppet masters and puppets, and little will change until the public demands the truth and accountability. RT, Lucifer’s Banker turns Whistleblower, Sean Stone interviews Bradley C. Birkenfeld, April 28, 2017 (11:03 mins.). "Watching the Hawks” Sean Stone welcomes former Swiss banker Brad Birkenfeld, author of Lucifer’s Banker: The Untold Story of How I Destroyed Swiss Bank Secrecy, into the Hawk’s Nest to discuss his adventures with UBS (the world's largest bank) and the U.S. Justice Department when he blew the whistle on the Swiss high-net worth banking industry. Wall Street Journal, Court of Human Rights Denies UBS Appeal Regarding 1.1 Billion Euro Bond in French Tax Case, John Letzing, Jan. 12, 2017. ZURICH-UBS Group AG has lost a bid to appeal its treatment by France's legal system at the European Court of Human Rights, which ruled that the Swiss bank had not had its right to be presumed innocent violated. The Strasbourg-based ECHR said in a decision issued on Thursday that a French court was within its own rights to require Zurich-based UBS to post a 1.1 billion euro ($1.2 billion) bond as part of an ongoing probe of the bank's alleged aiding of tax evasion among French clients. 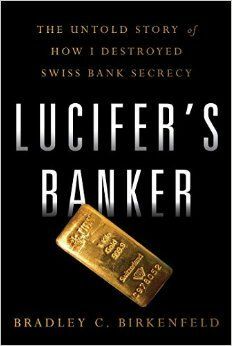 Blogcritics.org, Interview with Brad Birkenfeld, Author of ‘Lucifer’s Banker: The Untold Story of How I Destroyed Swiss Bank Secrecy,' Patricia Gale, Dec. 6, 2016. 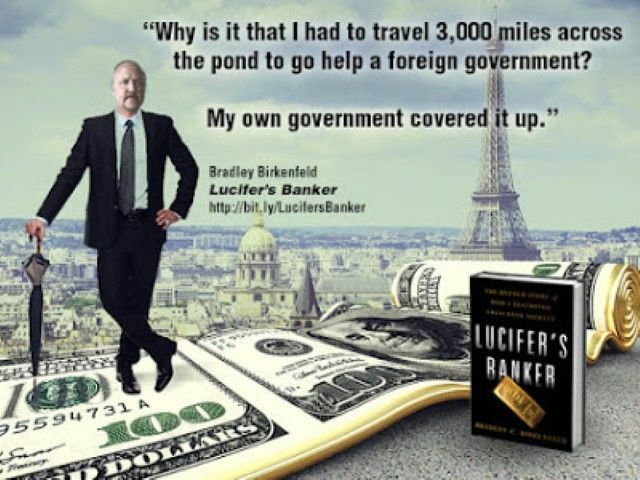 Private Swiss Banker Bradley C. Birkenfeld details his incredible story in Lucifer’s Banker. Birkenfeld exposed a massive shell game in which his employer, the megabank UBS, hid billions for its clients, from tycoons to terrorists, from royals to rebels. The book reads like a James Bond story, only it’s all true. Bloomberg, Credit Suisse Said to Freeze Accounts in U.S. Asset Search, David Voreacos and Giles Broom, Dec. 1, 2016. U.S. prosecutors now asking why $200 million was hidden; Bank said to be looking for indicators of U.S. accounts. Credit Suisse Group AG has frozen dozens of accounts as it tries to determine if U.S. clients are hiding money from the Internal Revenue Service after the firm pledged to come clean about secret assets, according to a person familiar with the matter. The bank is looking at indicators such as phone numbers or powers of attorney to determine whether Americans are the true owners of accounts not disclosed to the IRS, according to the person, who wasn’t authorized to speak publicly about the matter. Any client activity on these accounts now requires approval by a group within Credit Suisse, the person said. The unusual move to freeze accounts came in the past week as the U.S. stepped up a Justice Department investigation into why Credit Suisse neglected to tell them about $200 million in assets held by an American client who pleaded guilty Nov. 4 to conspiring to defraud the IRS, according to several people familiar with the matter. The bank wants to show that any hidden accounts were a lapse in controls and not a criminal act, another person familiar with the matter said. “Credit Suisse has to prove it’s doing all it can to identify Americans, in order to draw a line under its U.S. tax dispute,” said Andreas Venditti, an analyst at Vontobel Holding AG in Zurich. “It’s hard to assess the potential significance of these lingering issues as banks don’t disclose details of unresolved legal matters.” The U.S. is investigating how effectively the firm rooted out hidden American accounts after a subsidiary pleaded guilty in May 2014, admitting it helped thousands of Americans evade taxes. 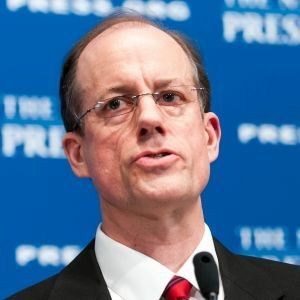 A monitor appointed by New York’s banking regulator continues to review Credit Suisse’s operations after his initial two-year appointment was extended. Credit Suisse, which paid a $2.6 billion fine with its guilty plea, is struggling to overcome its problems with U.S. tax authorities as it pins its future on managing money for the wealthy. The bank is betting it can attract rich individuals and families by offering them loans in the hundreds of millions of dollars while it pivots from investment banking to wealth management. 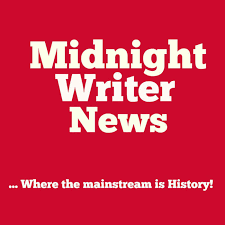 WLIS-AM and WMRD-AM (Connecticut), The Phil Mikan Show, Host Phil Mikan interviews Justice Integrity Project Editor Andrew Kreig for an hour about the implications of Lucifer's Banker, Oct. 25, 2016. Down With Tyranny, Devil’s Advocate Rings in a Bad Night for Bankers, Skip Kaltenheuser, Oct. 21, 2016. It was a long hard slog to publish Lucifer's Banker. Had Brad Birkenfeld managed to get his book out say, a year or so earlier, we might not be staring at the political train wreck we are now. It might have changed the political landscape, perhaps the standard bearers. Maybe even elevated different issues for the last lap beyond the cursory checklist now fed us. But I’m glad it’s arrived. This book underscores every lament Bernie Sanders uttered about the gravity of the finance sector's black hole. There's ample material to make Washington insiders lose sleep, plenty to bring out loosely-defined authorities saying move along, nothing to see here. Above it all the central question floats like a banshee — when a whistleblower revealed the largest systematic American tax fraud to surface, why was the only person to go to prison the whistleblower? Birkenfeld is that whistleblower, logging long house arrest and thirty-one months of a forty-month sentence to a Federal penitentiary, with the added insult of a thirty-grand fine, never mind his legal expenses. His tale of DOJ's whistleblower smack-down, of its shooting the messenger, makes an entertaining read. But it ought to frighten the hell out of everyone. With dollops of irony, fright is likely the reason behind this whistleblower whacking, a warning to those who might raise curtains on the very rich and very powerful and very, very connected. Birkenfeld worked for UBS in Switzerland as a private banker serving wealthy American clients. He went to jail on what seems a DOJ engineered Catch-22 that made him vulnerable to a charge of covering for a client, a Russian immigrant in California who hit it big in real estate. After Birkenfeld voluntarily approached the US government in 2007, DOJ sought to replace his whistle with a supersonic one no one could hear. 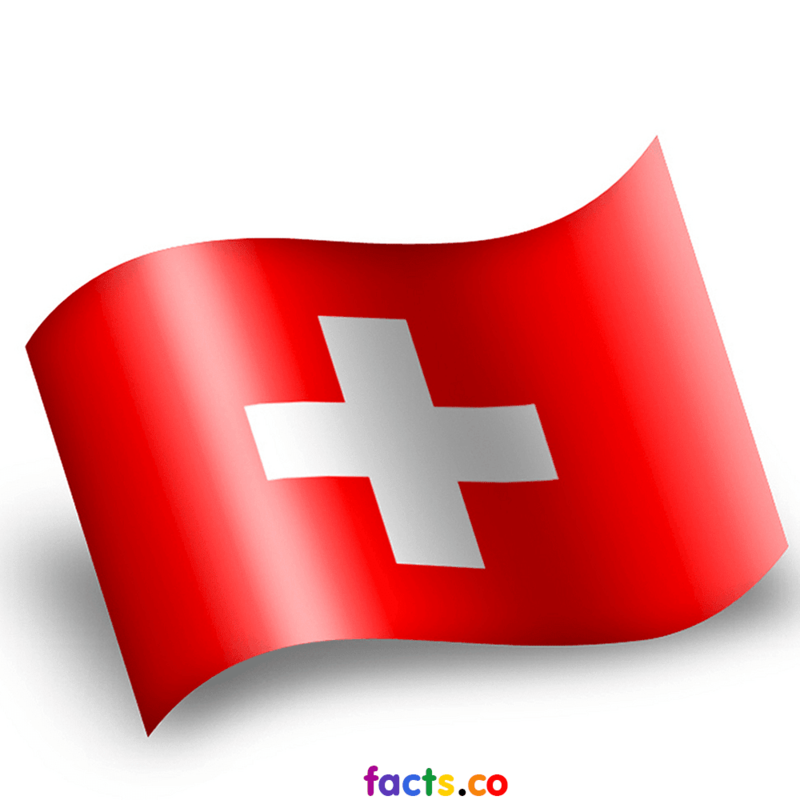 It refused to give him the subpoena he requested that would protect him from prosecution under Swiss bank secrecy laws. Those laws once protected Germans from execution under the Third Reich for slipping money out of Germany. Now they serve darker purpose. Try to imagine the incredible weight of the money and power pushing out of Swiss vaults against DOJ's door. Birkenfeld went to every other agency he could think of. He got the necessary subpoenas he needed and divulged accordingly, including on that client DOJ claimed he covered for. And he cued in the US Senate in a private hearing. But someone in DOJ couldn't take a joke, and they nabbed him as if what he'd already divulged was done in an alternate universe. Given the profile of the case, Birkenfeld has no doubts the hammer came down from on high. If you'd like to hear the jaw-droppers from that Senate hearing - most of which were his answers to Senators’ questions, join the club. The government sealed it and refuses to provide Birkenfeld with a transcript of his testimony. Plenty of black eyes for plenty of politicians, and in particular for the Department of Justice — let's just lump DOJ with the politicians. This book shreds that agency's credibility, laying bare once again Eric Holder's real legacy — smooches to banks. Sadly, it's a legacy he's spreading around, including to his former boss. I interviewed Birkenfeld awhile back as a component for an essay on the revolving door, (my apologies to the editor for my slow pace). The first thing that rides in on Birkenfeld's earnest, down-home Boston accent is that he isn't someone easily intimidated. He knows the territory, remembers who did what and won't quit shoving his boulders up the hill until credit is given where it's due. Gold stars are not in the offing. 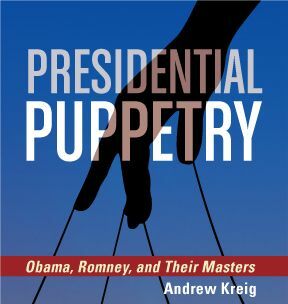 That was underscored at Birkenfeld's book party Tuesday night at the National Press Club. He does have an advantage few of the royally screwed enjoy. After he was released a new law brought him an IRS whistleblower award, $104 million before the tax man's knock. Why not? His revelations enabled the US Treasury to recover $15 billion in back taxes, fines and penalties. They also put in motion international investigations of offshore banking's many misdeeds, and juiced up reformers seeking tougher oversight. Impacts on Swiss private banks -- there are scads of such banks, all shapes and sizes — include a 2013 tax treaty facilitating the exchange of tax data between countries. This put a hitch in Switzerland's offshore tax haven status that vacuumed money. And plenty of dirt. Alas, though trickier, Birkenfeld says the multitude of nefarious practices requiring secret accounts still have plenty of global options. Bloomberg, U.S. Ambassador Tells Swiss Banks to Open Doors to Americans, Giles Broom, Oct. 19, 2016. The U.S. ambassador to Switzerland wants more of the country’s 266 banks to accept American clients after onerous regulations and tax-evasion probes prompted many financial firms to shun them. RT, UBS Whistleblower Tells all in New Book, Thom Hartmann interviews Bradley C. Birkenfeld, Oct. 19, 2016 (video). "The problem is the U.S. Department of Justice is corrupt," said Birkenfeld, author of the new Lucifer’s Banker: The Untold Story of How I Destroyed Swiss Bank Secrecy. Corporate Crime Reporter, Bradley Birkenfeld on Corporate Crime in the USA, Russell Mokhiber, Oct. 18, 2016. Bradley Birkenfeld held a book launch party at the National Press Club tonight. And it is telling that he invited some of the nation’s top whistleblowers — including John Kiriakou, who spent two years in prison — to be his guests. One of the ironies that was not lost on anyone in the room is that increasingly, it’s not corporate executives but whistleblowers who are doing jail time. Birkenfeld himself blew the whistle on his employer, the giant Swiss bank UBS, where the rich and famous stashed their millions in numbered accounts to evade U.S. tax authorities. Guess who went to jail? Birkenfeld. This is perhaps one of the best corporate crime books ever written. And the reason is that it clearly exposes our system of no fault corporate crime. Deferred prosecutions. Non prosecutions. Neither admit nor deny consent decrees. Executives rarely sent to jail. Just have the corporation write a check. Thank you. Birkenfeld exposes the perverse outcomes of that system at almost every turn. It’s not just that whistleblowers are doing prison time and corporate executives are not. Well, take the case of Joe Nacchio. I’m in Washington and I like this book because it exposes the system of no fault corporate crime enforcement. But a lot of people in Washington are not going to like this book. Hill Times (Ottawa), Whistleblower who helped U.S. recover $5-billion in taxes wants to help Canada too, Abbas Rana, Oct. 17, 2016. Bradley Birkenfeld told The Hill Times that he'd be happy to provide valuable information with documents that could help Canadian authorities recover unpaid federal taxes in offshore accounts. It's estimated that Revenue Canada is losing about $8-billion in lost taxes from offshore bank accounts each year. In 2008, three years after blowing the whistle on widespread tax evasion facilitated by Switzerland’s largest bank, Bradley Birkenfeld started sending faxes to Canada. At the time, Birkenfeld, a former UBS AG private banker who resigned in 2005 after approaching management with concerns that it was breaking U.S. law, was working with U.S. authorities, providing information about how UBS helped American clients evade taxes by secretly holding their undeclared assets overseas. In addition to contacting the Canadian Department of Justice, Birkenfeld said he sent anonymous faxes to two offices of the Canada Revenue Agency with the names and contact information of UBS Canada bankers, the amount of Canadian assets under management by the bank, and $1 billion in taxes clients should have paid. Nine years later, however, things haven’t worked out the way he hoped. In an emailed statement, the CRA said 3,000 UBS clients have made voluntary disclosures to the tax agency since 2009, with disclosures and audits resulting in the collection of more than $270 million in unreported income. But that’s only a quarter of the amount Birkenfeld said Canada could have recovered with the help of his information. Neither UBS nor its employees have faced any Canadian penalties to date. Most of the $270 million the CRA managed to get came years after receiving the information and only after stepping up measures to combat offshore tax evasion in 2013. “The signal Canada gives to individuals who bypass the fiscal and legal systems is, if you cheat and you’re caught, Canada will treat you easily,” said Alain Deneault, a professor at the University of Montreal and author of Canada: A New Tax Haven. CNBC, Swiss banker whistleblower: CIA behind Panama Papers, Eamon Javers, April 12, 2016. Bradley Birkenfeld is the most significant financial whistleblower of all time, so you might think he'd be cheering on the disclosures in the new Panama Papers leaks. But today, Birkenfeld is raising questions about the source of the information that is shaking political regimes around the world. 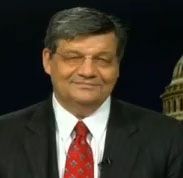 New York Times, Whistle-Blower Awarded $104 Million by I.R.S., David Kocieniewski, Sept. 11, 2012. Bradley C. Birkenfeld, a former banker at UBS, recently served two and a half years in prison for conspiring with a wealthy California developer to evade United States income taxes. But Mr. Birkenfeld, 47, has a lot to show for his time and effort: The Internal Revenue Service acknowledged on Tuesday that information he had provided was so helpful that he would receive a $104 million whistle-blower award for revealing the secrets of the Swiss banking system. By divulging the schemes that UBS used to encourage American citizens to dodge their taxes, Mr. Birkenfeld led to an investigation that has greatly diminished Switzerland’s status as a secret haven for American tax cheats and allowed the Treasury to recover billions in unpaid taxes. In addition to paying $780 million in 2009 to avoid criminal prosecution, the bank turned over account information regarding more than 4,500 American clients. The disclosure of Swiss banking information — which caused a fierce political debate in Switzerland before winning approval from the country’s Parliament — set off such a panic among wealthy Americans that more than 14,000 of them joined a tax amnesty program. I.R.S. officials say the amnesty program has helped recover more than $5 billion in unpaid taxes. Mr. Birkenfeld’s award, the largest ever paid by the I.R.S., is also a milestone for the agency’s whistle-blower program, which offers informants rewards of up to 30 percent of any fines and unpaid taxes recouped by the government. The program was revamped in 2006, offering higher rewards and more incentives for citizens to report tax dodges, in an effort to help recover more of the estimated $100 billion a year in underpaid taxes. But the program has been dogged by bureaucratic delays and institutional resistance within the I.R.S., causing some members of Congress to complain that it was being undermined. He said he learned in 2005 that the bank’s advice to clients was illegal, and after reporting it to the UBS compliance office to no avail, he decided to become a government informant. During the investigation Mr. Birkenfeld was charged with fraud for withholding crucial information from federal investigators, including details of his top client, the property developer Igor Olenicoff. Mr. Birkenfeld was sentenced to 40 months in prison, and was released early on Aug. 1. Michael A. Sullivan, a partner at Finch McCranie in Atlanta, applauded the agency’s decision. “It heartens those who deal with whistle-blowers daily to see the I.R.S. simply follow the law and reward a whistle-blower who meets the law’s requirements,” he said. But others say that delays are costing taxpayers billions. With lengthy delays in processing cases, the whistle-blower program had a decline in both new cases reported and tax dollars collected in 2011. Senator Charles E. Grassley, an Iowa Republican who helped write the law, said Mr. Birkenfeld’s award was an important step, but urged the I.R.S. to build on the momentum it had generated. “If the I.R.S. is serious about encouraging future whistle-blowers, it needs to continue to honor the spirit and intent of the law and issue awards in a timely manner,” Senator Grassley said. Internal Revenue Service, Offshore Voluntary Compliance Efforts Top $10 Billion; More Than 100,000 Taxpayers Come Back into Compliance, Staff report, Oct. 21, 2016. As international compliance efforts pass several new milestones, the Internal Revenue Service reminds U.S. taxpayers with undisclosed offshore accounts that they should use existing paths to come into full compliance with their federal tax obligations. Under the Foreign Account Tax Compliance Act (FATCA) and the network of inter-governmental agreements (IGAs) between the U.S. and partner jurisdictions, automatic third-party account reporting has entered its second year. More information also continues to come to the IRS as a result of the Department of Justice’s Swiss Bank Program. As part of a series on non-prosecution agreements, the participating banks continue to provide information on potential non-compliance by U.S. taxpayers. The IRS developed the Streamlined Filing Compliance Procedures to accommodate taxpayers with non-willful compliance issues. Submissions have been made by taxpayers residing in the U.S. and from those residing in countries around the globe. The streamlined procedures have resulted in the submission of more than 96,000 delinquent and amended income tax returns from the 48,000 taxpayers using these procedures. A separate process exists for those taxpayers who have paid their income taxes but omitted certain other information returns, such as the Report of Foreign Bank and Financial Accounts (FBAR). U.S. Department of Justice, UBS Enters into Deferred Prosecution Agreement, Staff report, Feb. 18, 2009. Bank Admits to Helping U.S. Taxpayers Hide Accounts from IRS; Agrees to Identify Customers & Pay $780 Million. UBS AG, Switzerland’s largest bank, has entered into a deferred prosecution agreement on charges of conspiring to defraud the United States by impeding the Internal Revenue Service (IRS), the Justice Department announced today. As part of the deferred prosecution agreement and in an unprecedented move, UBS, based on an order by the Swiss Financial Markets Supervisory Authority (FINMA), has agreed to immediately provide the United States government with the identities of, and account information for, certain United States customers of UBS’s cross-border business. Under the deferred prosecution agreement, UBS has also agreed to expeditiously exit the business of providing banking services to United States clients with undeclared accounts. As part of the deferred prosecution agreement, UBS has further agreed to pay $780 million in fines, penalties, interest and restitution. Earlier today, the agreement was accepted in Ft. Lauderdale, Fla. by U.S. District Judge James I. Cohn. U.S. Department of Justice, Former UBS Banker Sentenced to 40 Months for Aiding Billionaire American Evade Taxes, Staff report, Aug. 21, 2009. Former UBS banker, Bradley Birkenfeld of Weymouth, Mass., has been sentenced to 40 months incarceration by Judge William J. Zloch in Fort Lauderdale, Fla.
On June 19, 2008, Birkenfeld pleaded guilty to conspiring to defraud the United States, the Justice Department announced today. According to court documents and statements made in court today, Birkenfeld worked as a private banker in Geneva, Switzerland, for UBS AG, one of the country’s largest banks. While at UBS, Birkenfeld assisted an American billionaire real estate developer evade paying $7.2 million in taxes by assisting the developer conceal $200 million of assets hidden offshore in Switzerland and Liechtenstein. While at UBS, Birkenfeld routinely traveled to and had contacts within the United States in an effort to assist wealthy Americans conceal their ownership in assets held offshore and therefore evade the payment of taxes on the income generated on the money hidden offshore. In order to assist wealthy Americans who concealed assets at UBS in Switzerland, Birkenfeld admitted that he and others advised U.S. clients to place cash and valuables in Swiss safety deposit boxes; purchase jewels, artwork and luxury items using the funds in their Swiss bank account while overseas; misrepresent the receipt of funds from the Swiss bank account in the United States as loans from the Swiss bank; destroy all off-shore banking records existing in the United States; utilize Swiss bank credit cards that they claimed could not be discovered by United States authorities; and file false U.S. individual income tax returns that omitted income earned by their clients and fraudulently misrepresented that their clients did not have an interest in and signature authority over accounts held offshore. In February 2009, UBS entered into a deferred prosecution agreement and the bank admitted to helping U.S. taxpayers hide accounts from the Internal Revenue Service (IRS). As part of their agreement, UBS provided the United States government with the identities of, and account information for, certain United States customers of UBS’s cross-border business. The deferred prosecution agreement paragraph 13 stated that the United States would be seeking enforcement of a civil "John Doe" summons seeking records for United States persons who maintained accounts with UBS in Switzerland. On Aug. 19, 2009, the civil matter was resolved and UBS agreed to produce the identities and account information of 4,450 additional UBS customers who are believed to have violated United States law. "To those taxpayers who have illegally hidden their income in foreign bank accounts and to those who have illegally helped clients hide income and assets, today's sentencing serves as notice: come in and completely come clean," said John A. DiCicco, Acting Assistant Attorney General of the Justice Department’s Tax Division. "A failure or delay in doing so until after the Government has discovered the wrongdoing, even if there is then cooperation, has serious consequences." "Those who have stashed money offshore should not take comfort in the fact that the UBS investigation seems to have reached criminal and civil resolutions," said Jeffrey H. Sloman, Acting U.S. Attorney for the Southern District of Florida. "New leads and additional evidence are being uncovered each day. We are committed to pursuing these new leads and to developing additional cases against those who assist Americans evade their income tax obligations." Acting Assistant Attorney General John DiCicco and Acting U.S. Attorney Jeffrey H. Sloman commended the investigative efforts of the IRS agents involved in this case. The prosecution is being handled by Senior Litigation Counsel Kevin M. Downing and Trial Attorney Michael P. Ben’Ary of the Tax Division, and Assistant U.S. Attorney Jeffrey A. Neiman. "Mr. Birkenfeld admitted his role in advising wealthy U.S. clients to take various actions to conceal their assets at UBS in Switzerland from the US Government," said Eileen Mayer, Chief, IRS Criminal Investigation. "Today, he is paying the price for that role. Clients as well as promoters of international tax fraud are under the watchful scrutiny of the IRS. For anyone with hidden offshore assets, the IRS wants to send a clear message. There is still time — although the clock is ticking — to come in and get right with the government." Additionally, American citizens must file a Report of Foreign Bank and Financial Accounts (FBAR) with the U.S. Treasury, disclosing any financial account in a foreign country with assets in excess of $10,000 for which they have a financial interest in or signature authority, or other authority over. The Department of Justice (DOJ) press release crediting their efforts to prosecute Bradley Birkenfeld with increasing tax compliance is the very definition of the word 'chutzpah.' Prosecuting the whistleblower does not encourage more people to come forward and provide information on tax fraud. The DOJ press release is contradictory and outrageous. You cannot talk out of one side of your mouth, trumpeting the imprisonment of the most important tax whistleblower in history, and then out of the other side ask employees to risk their career and their very freedom to step forward with information about tax fraud. The DOJ spends much ink describing the importance of the UBS case without finding the space to add two more words — the name of the whistleblower who made it all possible — Bradley Birkenfeld. The treatment of Mr. Birkenfeld is not only a generational setback for tax whistleblowers, it will cost the American taxpayers billions of dollars. As the UBS matter has generated tremendous publicity and strong forward momentum against bank secrecy worldwide, the Division's strategic successes have delivered an unmistakable message to all taxpayers that the days of hiding offshore funds from tax collection are over. In reality, the DOJ's decision to prosecute the very person who provided them information on UBS has created the exact opposite publicity. Now all foreign bankers know that they should continue to hide from the Department and protect their tax cheating clients or they themselves will face prosecution. The DOJ's actions have created a chilling effect against any potential tax whistleblowers who would want to help the U.S. government uncover tax fraud. In addition, the DOJ failed to mention that the architect of the entire UBS illegal offshore tax fraud program, Martin Liechti, was allowed to return to the safety of Switzerland without prosecution. The DOJ not only did not credit Mr. Birkenfeld with disclosure of the scandal, it actively prosecuted him. In other words, the bad guy was let go and the good guy is in jail. This is not justice. We call upon President Obama to immediately fix this injustice by pardoning Mr. Birkenfeld or commuting his sentence to time-served. For more information on Mr. Birkenfeld's case including supporting documentation please click here. National Whistleblower Center, Birkenfeld Press Conference, Sept. 11, 2012 (with video). Michael D. Kohn, Moderator IRS Decision for Bradley C. Birkenfeld. Bloomberg, U.S. Ambassador Tells Swiss Banks to Open Doors to Americans, Giles Broom and Allyson Versprille, Oct. 19, 2016. The U.S. ambassador to Switzerland wants more of the country’s 266 banks to accept American clients after onerous regulations and tax-evasion probes prompted many financial firms to shun them. Top banks UBS Group AG and Credit Suisse Group AG, along with Corner Banca SA, from the Italian-speaking southern part of Switzerland, have introduced procedures for U.S. citizens. Still, it’s a challenge for many of the 20,000 American expatriates living in the country to open or keep an account, Ambassador Suzan LeVine said in a statement from the U.S. embassy in Bern on Wednesday. The U.S. is the only Organization for Economic Cooperation and Development nation that taxes citizens wherever they reside. U.S. expatriates have objected to jumping through hoops for banks’ compliance departments and paying costly lawyers’ fees to meet reporting requirements. Thousands of Americans living abroad have given up their passports in favor of other nationalities in protest of the U.S. stance on citizenship-based taxation. Asset-disclosure rules under the Foreign Account Tax Compliance Act, or Fatca, require banks to disclose information on U.S. account holders or impose withholding taxes. Swiss banks have suffered from a U.S. Justice Department investigation that’s reaped more than $5.5 billion in fines related to tax evasion by wealthy Americans with cross-border accounts. Democracy Now! 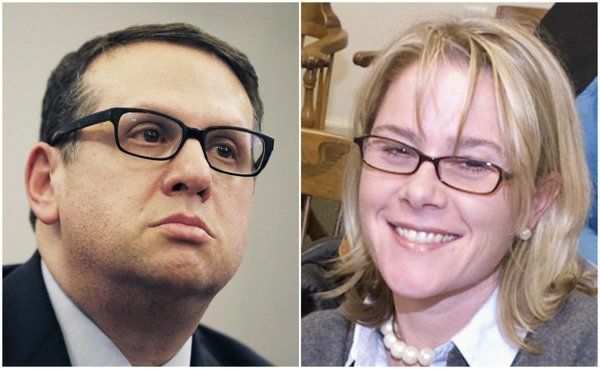 As Obama Golfs with UBS CEO Days After Firm Avoids Criminal Prosecution, UBS Whistleblower Given 40-Month Jail Term, Juan Gonzalez and Amy Goodman interview ProPublica reporter Sharona Coutts and National Whistleblowers Center Executive Director Stephen Kohn, Aug. 27, 2009. Project on Government Oversight (POGO), Brad Birkenfeld Resource Page (2009). Wikipedia, Bradley C. Birkenfeld. Bradley Birkenfeld is an American banker and whistleblower whose disclosures to the United States government led to a massive fraud investigation against the Swiss bank UBS and other banks that had enabled tax evasion by U.S. taxpayers. 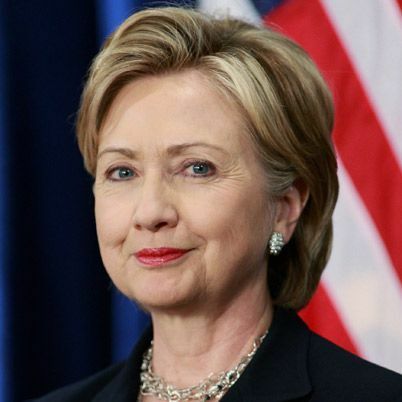 In February 2009, as a result of the information he gave U.S. authorities, the U.S. Department of Justice (DOJ) announced it had reached a deferred prosecution agreement with UBS that resulted in a $780 million fine and the release of previously privileged information on American tax evaders. As a result of the financial recoveries facilitated by his whistleblowing, Birkenfeld received a $104 million award from the IRS Whistleblower Office in September 2012. The record-breaking whistleblowing award came less than six weeks after Birkenfeld had been paroled from prison, where he had been incarcerated for abetting tax evasion by one of his clients. Despite prosecutors recommending a lighter sentence due to his ongoing cooperation with federal authorities, in August 2009, Birkenfeld was sentenced to 40 months in prison and fined $30,000. Many advocacy groups from around the world criticized Birkenfeld's prosecution and sentence on the grounds that it would discourage financial industry whistleblowers. Birkenfeld was released from prison to a halfway house in New Hampshire on August 1, 2012 and was released and put on probation on November 29, 2012. The erosion of Switzerland's fabled bank secrecy that began when Switzerland amended its federal banking law in 2009 in the wake of the UBS scandal, a cycle that culminated when Switzerland officially signed the Convention on Mutual Administrative Assistance in Tax Matters on 15 October 2013, began with Birkenfeld's revelations. Signing the convention, an international tax treaty with nearly 60 signatories that facilitates the exchange of tax data between countries, represents a rollback of Switzerland's status as a tax haven for offshore assets. The Swiss media credit Birkenfeld's act with effecting a sea change in Swiss banking. After Birkenfeld's award, the Swiss newspaper Blick claimed, “Birkenfeld was a blessing for the Swiss financial industry,” in that his revelations helped accelerate the industry's transition away from its reliance on “dirty” money by dooming the bank secrecy laws that enabled tax evasion. Birkenfeld has compared the Swiss banking industry with gangsters. "In essence, bank secrecy is analogous to criminal racketeering — and the Swiss government, along with every Swiss private banker, is a co-conspirator."